Faxness. Aww, 더 많이 Faxness. Makes me want to go dance in the rain 또는 something fuzzy like that. :). HD Wallpaper and background images in the Maximum Ride club tagged: faxness. 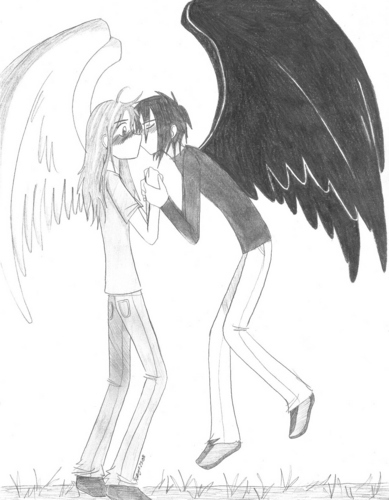 This Maximum Ride fan art might contain 애니메이션, 만화, and 만화책.